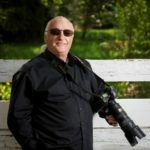 In 1982, Rocco Macri began Macri Photography in Edmonton, Alberta. Macri Photography is now located on a beautiful acreage minutes east of Edmonton. His full-range of photography includes: architecture, aerial photography, food and dining, concerts, extravagant nature photographs, portraits, and precise commercial, Industry, and business photographs. Rocco Macri’s photography has garnered him numerous awards. Master of Photography Award “Professional Photographers of Canada Association”. NOTE: Pixoto is a unique stock photography company with more than 100,000 members worldwide. Over 1.5 million photos have been ranked by 75 million votes. NOTE: The MPA is bestowed by the Professional Photographers of Canada (PPOC).